Kodi is an open source media player that allows you to stream your favourite movies, TV shows, live games and so much more. Kodi was developed by the XBMC (Xbox Media Center) foundation. It was basically a media player for Xbox but later on it was released and made available to download on all leading platforms such as Android, Linux, Mac OS X, iOS and Windows, etc. Kodi gradually made its way to the top and now is one of the best media streaming apps. Kodi stores all the media files like videos, music, pictures, etc all in one place, the user can access to these files from any device with a live internet connection. There is a new feature of skin that allows the user to change the complete look of the app, users can download various skins available on Kodi or they can build their own and share. 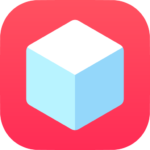 TweakBox is the best third party app store for the iOS as it gives the user complete freedom to modify their device by adding several new features and getting all kinds of tweaked apps and softwares for free. TweakBox is also said to be the next best thing after Cydia. There is no need to jailbreak your device to download TweakBox. You need to have a device with iOS 9, iOS 10 or iOS 11 to successfully run TweakBox. Open Safari browser and search for TweakBox app store. Open TweakBox and type Kodi in the search bar provided. Download Kodi and once again go to Settings >> General Settings >> Device Management >> tap “ Trust Kodi ”. Install and Launch Kodi on our iOS device and enjoy streaming your favourite videos.